A TAB Performance Gift Card is the perfect gift for the motorcycle lover in your life! You will be prompted for the amount you would like to put on the gift card during the checkout process. Currently TAB Performance only offers electronic gift certificate delivered via email. The gift certificate is added to your shopping cart as you would any other product. 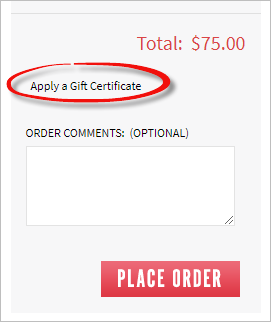 Gift certificates will be issued automatically via email once you click Complete Order. At that point, the gift certificate becomes store credit on their account and it automatically applies to any future purchases they make while logged in.